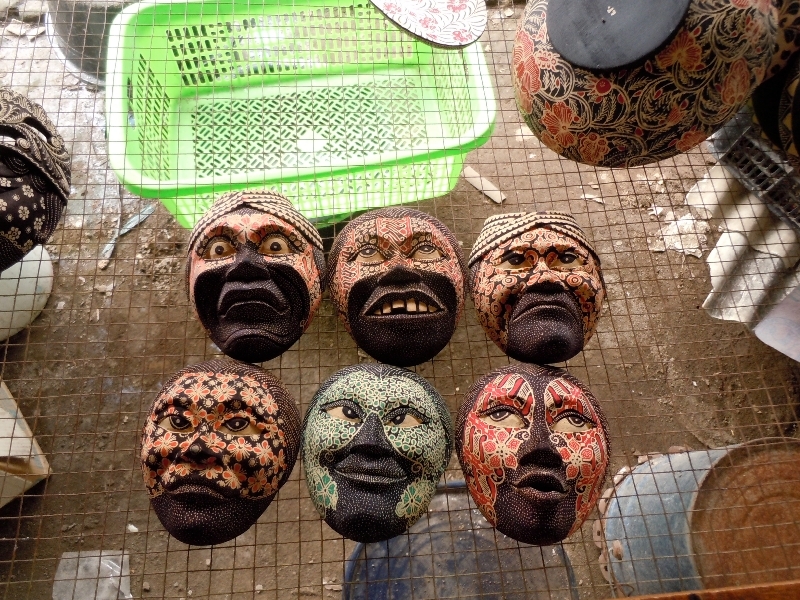 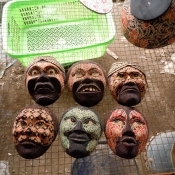 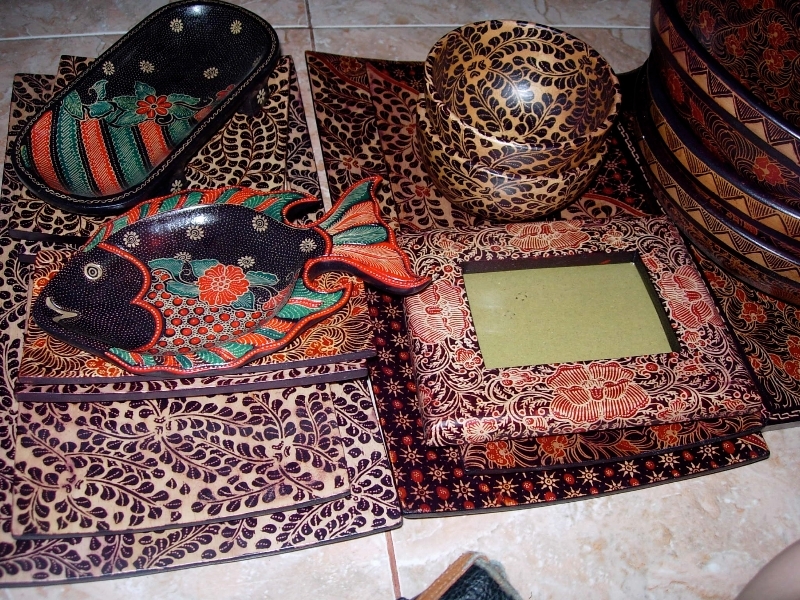 I am in love with a relatively new handcraft that has appeared in the markets in central Java over the past 20 years. 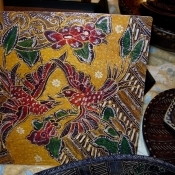 Growing out of the traditional batik fabric industry, batik wood is a natural evolution of batik on fabric that is rich in history and artistry. 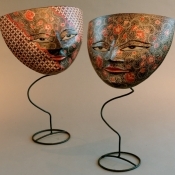 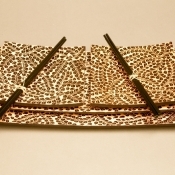 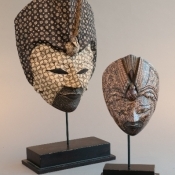 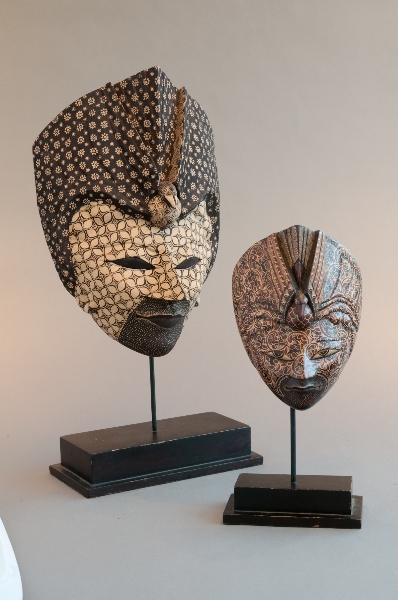 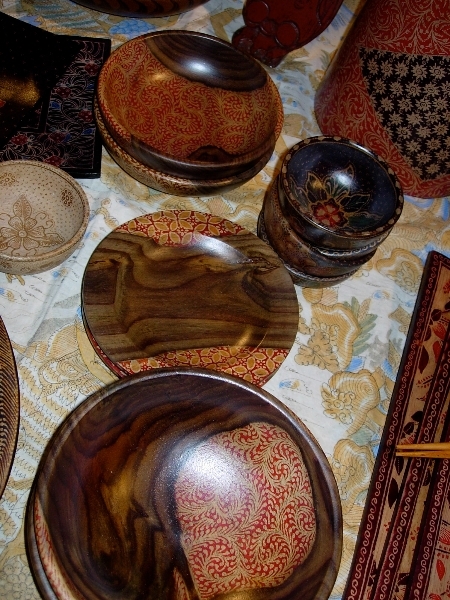 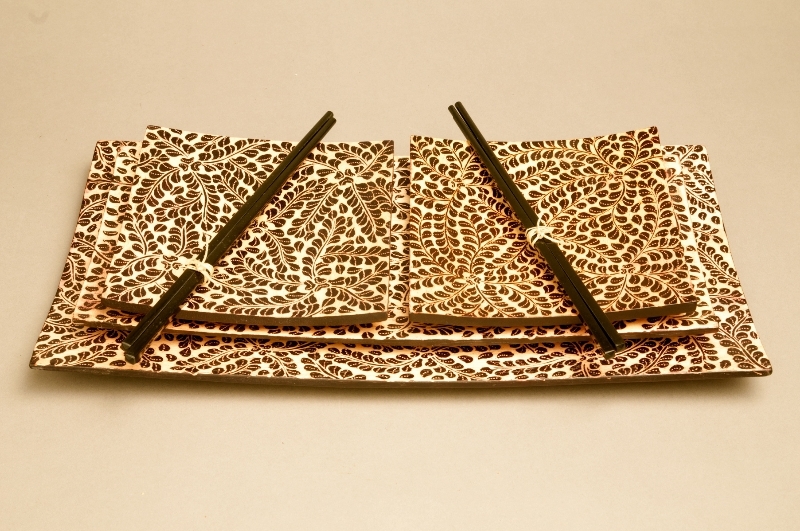 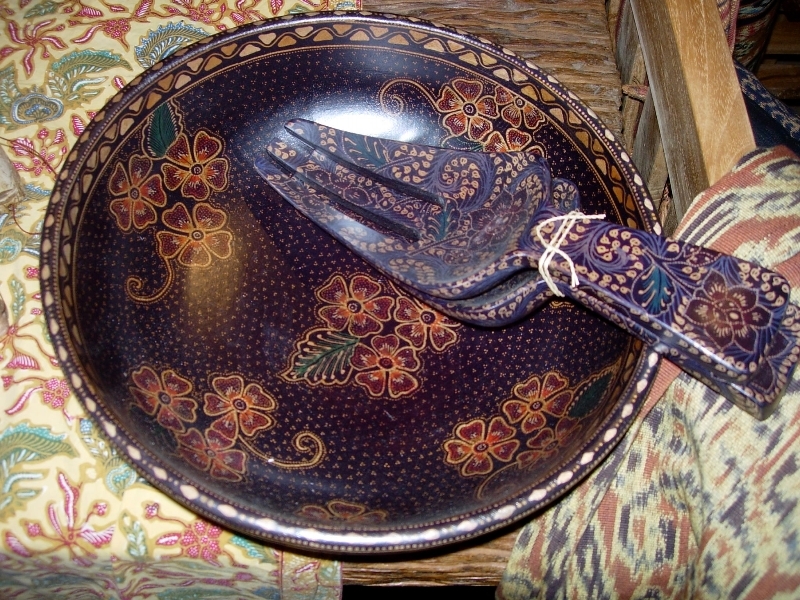 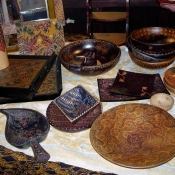 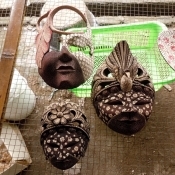 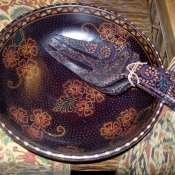 Using the same tools and techniques, batik wood employs layers of wax in its detailed, intricate designs, applied with the traditional canting (chanting) tool. 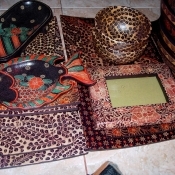 A time-consuming process is required to lay out each pattern. 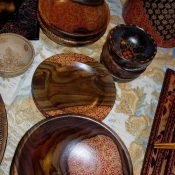 Successive layers of wax are removed after each color of dye is applied. 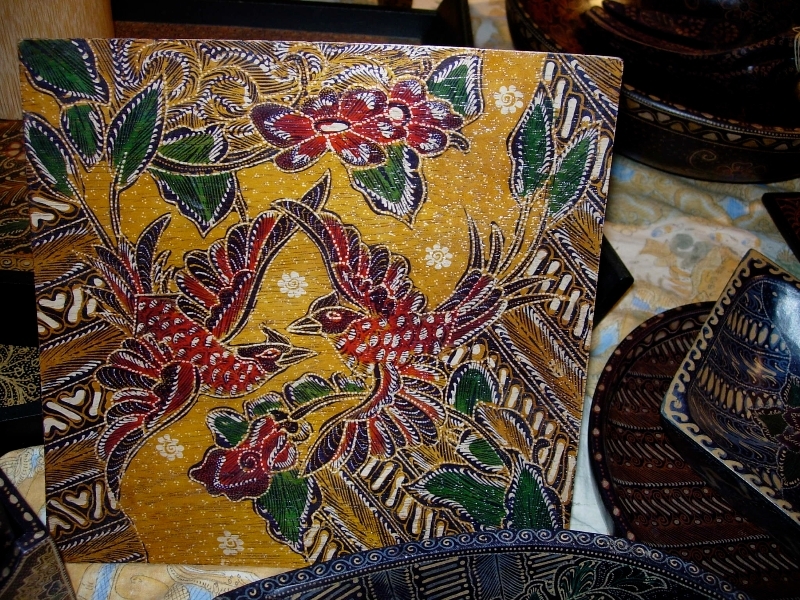 Finally, a beautiful work of art, with a velvety finish and rich, exotic colors, is completed. 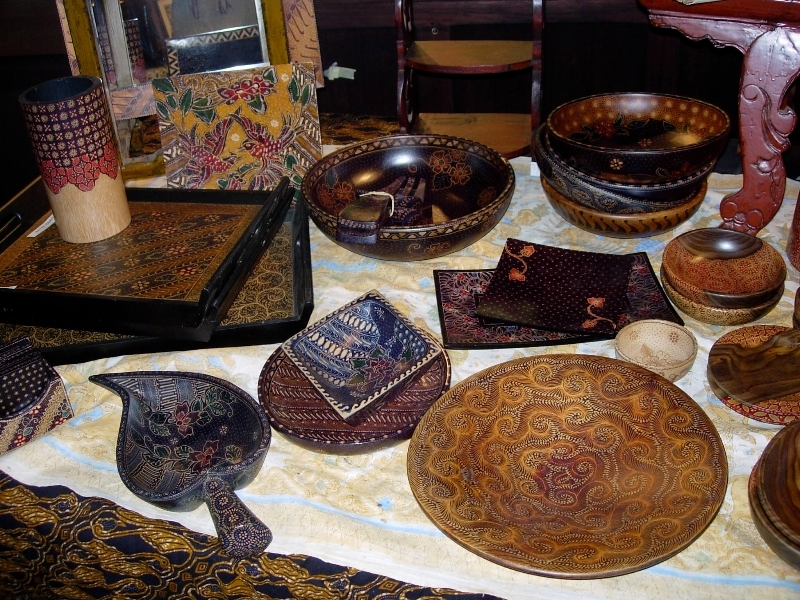 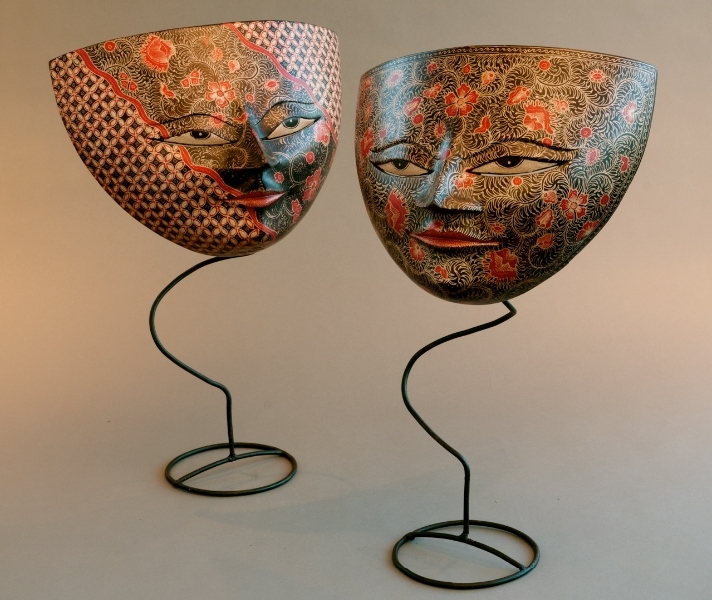 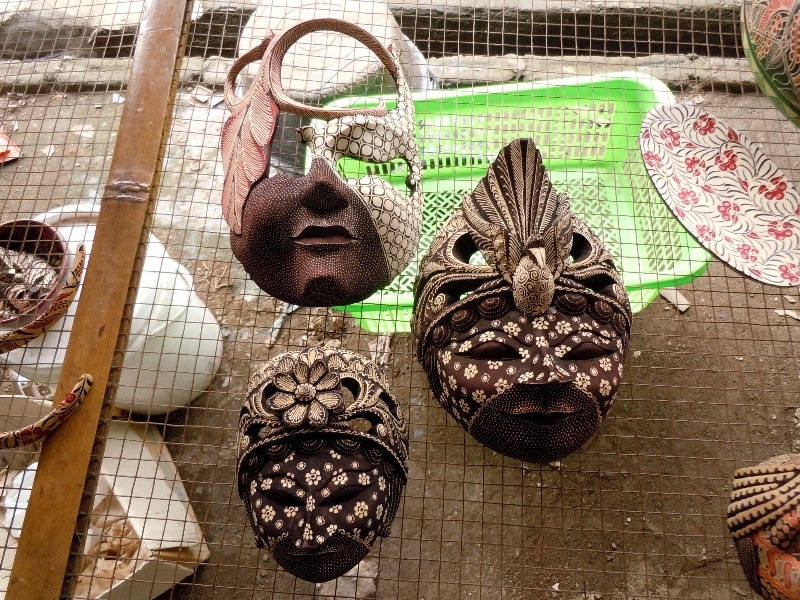 From masks, wood carvings, and tableware, this major craft is offering new light and rewards to the art and industry of Batik in Central Java.